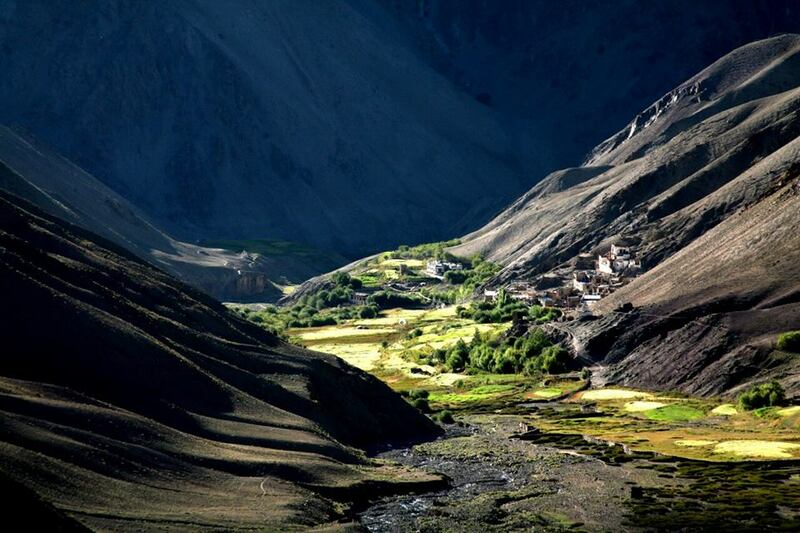 stands tall in the same Stok range of the mountains at an altitude of just below 6000 meters ( 5950m). We have designed this itinerary to attempt both the summits in the same itinerarey with just one extra day required. 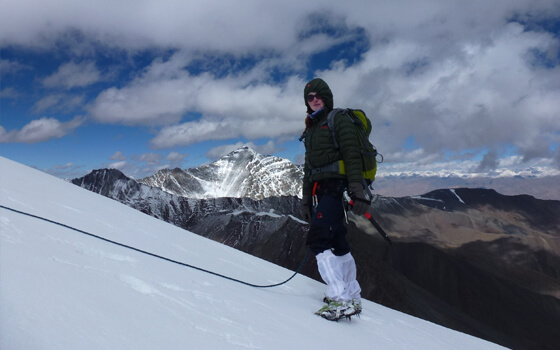 The attempt on the summit of Golep Kangri provides good exposure and acclimatization regime before attempting the summit of Stok Kangri which is about 200 meters higher. However, at that altitude, the difference of 200 meters seems like 2000 meters at lower altitude. Both these peaks are trekking peaks and does not require mountaineering techniques to reach its summit. Having the correct skills and attitude definitely help a lot though. The dangers of Stok Kangri lies in its extremely high altitude in the cold desert land of Ladakh, where the wind is very dry. Proper planning results in successful summit of the peak. You need to be in good physical condition and possess immense mental endurance and positive attitude. 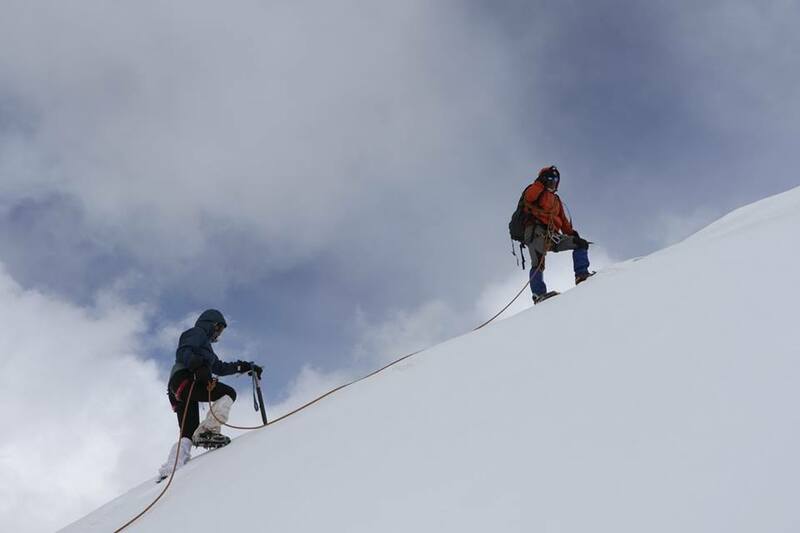 In late May and Early June, both the peaks have good amount of snow and makes for a good summit attempt for those who like to further increase the difficulties. July to September typically has low snow on the ridge and is comparatively easier. However, less snow exposes the boulders and hence the exposure on the other side of the ridge is still requires careful negotiations. 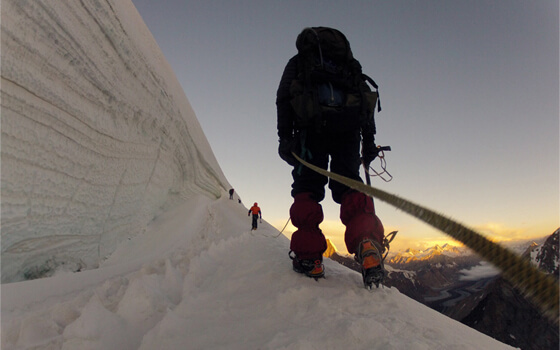 We do this trek via the Stok La to acclimatize better with a rest day and orientation training in the base camp. 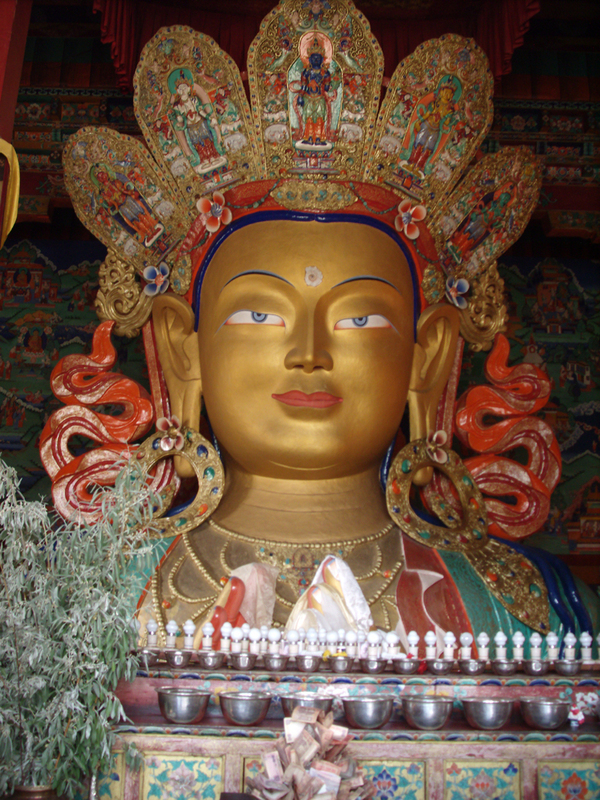 Come, accept the challenge offered by these twin summits of Golep Kangri and Stok Kangri. 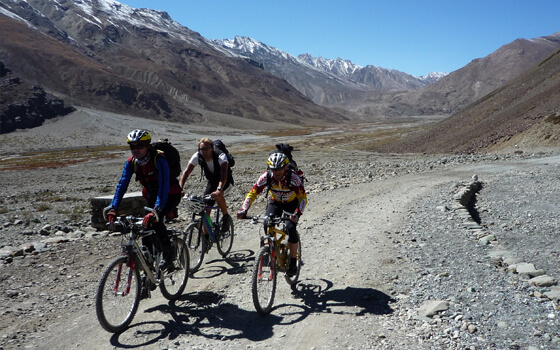 Team Himalayan High will help you reach your goal with easy arrangements and professional climbing leaders. Day 01 - Drive to Chilling by Car 2 hrs. Trek to Squ 3 hrs camp near Village (3400m ). Day 02 - Trek from Sku to Shingo 4 hrs camp near village (4,100m). Day 03 - Cross the Ganda La (4,900m) to Rumbak 6 hrs camp near village (4,050m). 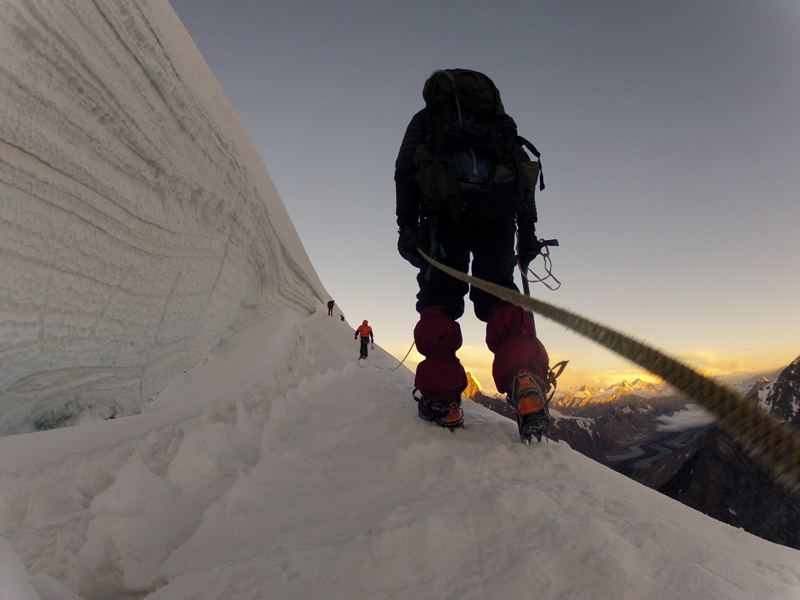 Day 04 - Cross the Stok La (4,900 m) to Kichapulu (4,270 m) 6 hrs From Rumback. Day 05 - Trek to Base Camp 4 hrs up (4,950m). Day 06 - Summit Climb Golep Kangri (5950m) 9 hrs. 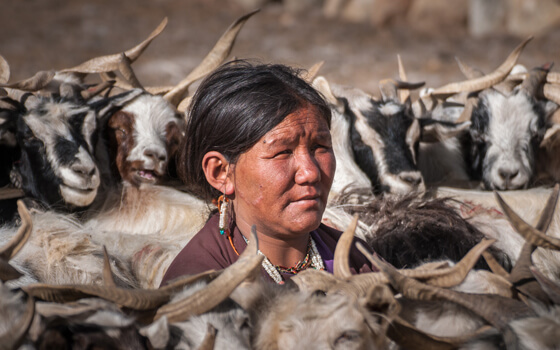 Day 07 - Trek from Base Camp to Stok and drive back to Leh.